Posted on May 12, 2018 at 9:11 am. When there is a plumbing emergency in our house, it causes a lot of distress along with a need to employ the expertise of a local plumber in Cleveland, TN. An unexpected or frequent plumbing emergency is an indication that you need a careful inspection or even repair of your plumbing system. In simple words, you must call for an emergency plumbing service and get the issue repaired/replaced with no further delays. Thus, to save you from facing these plumbing emergencies; let us discuss the most frequent plumbing emergencies that almost every homeowner faces. Also, if you live in Cleveland, TN, there is a high chance that you might have observed or experienced any of these major plumbing emergencies until now. Furthermore, we will also talk about some quick tips and tricks to control the emergent situation at hand and until you get the assistance of a plumber in Cleveland, TN. So read on and know the great tips which will aid you in treating common plumbing problems in a most skillful manner. A water leak is the most recurrent problems that all of us commonly face in our houses. 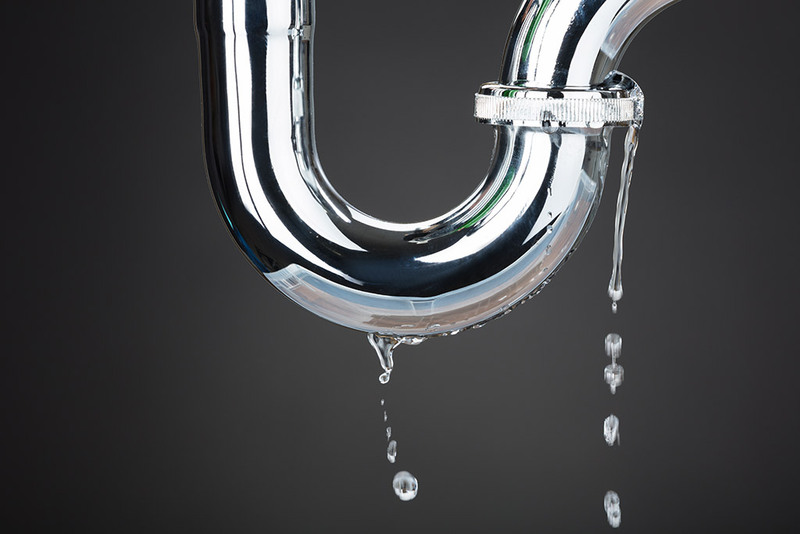 There are many reasons to face a water leak issue. For example, there could be a burst of the in-house or even main pipeline including a problematic faucet. Thus, if you are facing a water leak problem in your house and water is leaking profusely, don’t waste time in identifying the main issue. In fact, the foremost measure is to turn off the main valve which is responsible for your home’s main water supply. Once you’ve controlled the profusely leaking water, find out the point from where the water leak originated. In addition, as you turn off the water valve, first you must mop up the excess water. If not, there is a high chance that this spilled water will start leaking in other areas of your home and it might also damage your expensive electrical appliances. Once done, you must call an emergency plumbing service in Cleveland, TN. When you hire the professional help, the main problem gets fixed professionally. Blocked drains are a major nuisance. Imagine if you use the toilet and unexpectedly drainage is blocked. This means, you cannot use your washrooms and you might need to temporarily leave the house and wait for the issue to get fixed. This is an issue that also ends up in the poorliving environment. At any time a drain line is clogged, regardless of your kitchen or bathroom drain system, it causes intolerable odor. The blocked drain line issue happens when you persistently ignore the signs. For example, if you have been experiencing reduced water flow, it is a clear sign that your drain line system is not clear. Also if you are avoiding the issue for days, it may turn out to be a serious problem with the passage of time. So if the damage is already done, simply call the assistance of a local plumber in Cleveland, TN. As the professional plumber in Cleveland, TN suggests,whenever you are anxious due to blocked drain issue, your best bet should be to get the problem resolved immediately. That is, take the assistance of a local plumber in Cleveland, TN before the circumstancesturninto an urgent situation. Another major plumbing emergency arises during the winter season. It occurs when you stop receiving hot water supply. If you live in Cleveland, TN, it is not suitable to use cold water especially for a shower, and when the outside temperature drops below freezing point. During the coldseason, hot water is highly crucial to maintaininga cozy and comfortable atmosphere as you perform daily activities. Hence, when your home’s water heater or even thermostat breaks down in the cold season, it is a sign that you need the help of a local plumber in Cleveland, TN. There could be a lot of reasons for a hot water concern. Hence, hiring a professional plumber in Cleveland, TN to figure out the associated issues is an ideal measure to take. A reliable expert may pay an instant visit to your home and easily fix the concern of the water system. Maybe the issue may is a bigger one but to know this with certainty, you need to hire the professional plumber in Cleveland, TN. A gas leak is one more serious dilemma which requires the help of a professional plumber in Cleveland, TN. This is a major issue because even just a small neglect can be quite life-threatening for your family. So regardless where the problem originates; you need to get it fixed right away. Gas valves make possible the supply of combustible to different house fixtures. As you completely turn off the valve, make sure that gas leak is properly stopped. But this is not the case if the problem of gas leak originates from your house’s main shut-off valve. Moreover, if you have no idea how to turn off the gas, simply leave the space as the first thing and then call for assistance. This will make sure your personal security remainsa priority and you stay protected in the case of any uncertain incident. When you hire a professional plumber in Cleveland, TN, you rest assure that your gas leak issue will be treated in a most skilled manner. Sometimes pipes don’t just burst, but they also get frozen during the extreme weather. To determine this issue, get the support of a professional plumber in Cleveland, TN. Professionals resolve the issue by using efficient hot water bottles. This gradually thawsthese frozen pipes and keep them useable. But you are not advised to handle the situation just like a DIY project, as it may create further trouble because of improper handling and even lack of right and appropriate tools. Moreover, this can also lead to a leak or even major break of water pipe. So, if you are in search of a professional and well-reputed plumber in Cleveland, TN, then call the emergency helpline of Metro Plumbing right away.